This article is written by David Rivera, Ph.D. and Deidra D. Dain, MBA of The Steve Fund and first appeared in the October 2018 edition of The Scholar Advocacy Newsletter. Starting college is an exciting time. New relationships. Challenging academics. Significant doorways to life-long achievements. For many college freshmen, leaving home and starting college signifies an important family milestone—being the first to experience the opportunity. All the excitement can often carry with it unforeseen feelings of stress and anxiety. And for college students of color, the feelings can be especially difficult to confront, navigate a path for support, and actually seek help. 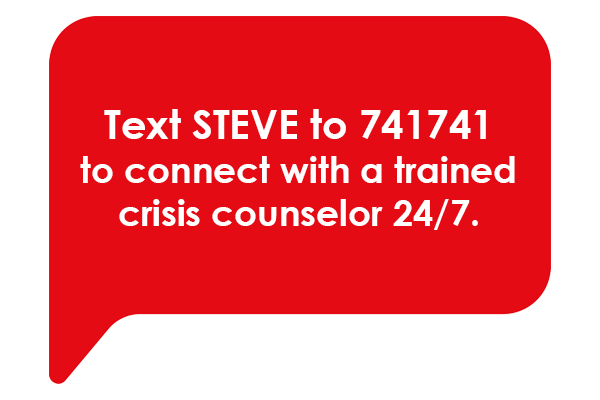 According to the Steve Fund, research reveals that students of color are (1) more likely to feel overwhelmed in college; and (2) more likely to keep their concerns to themselves (Harris Poll, JED, The Steve Fund. Understanding mental health challenges students face on today’s college campuses. Harris Poll, 2015). In fact, 50% of college students in the JED Foundation and the Steve Fund survey felt stressed “most” or “all” of the time. What to do? Read more to learn about the issue and steps to take for a healthy transition into your college career. A few facts from the annual Healthy Minds survey of college students reveal that Latinx students report higher levels of depression than Asian, Black, Multiracial or White students. In addition, those who identify as LGBTQ+ report higher levels of depression and anxiety. And overall, students of color receive care for their mental health needs much less often than their Caucasian counterparts. But the problem is “less about not having insurance or money, and more about the psycho-social barriers that prevent people of color from seeking care,” says Dr. Alfiee M. Breland-Noble, Senior Scientific Advisor as quoted in an interview with Black Enterprise Magazine. 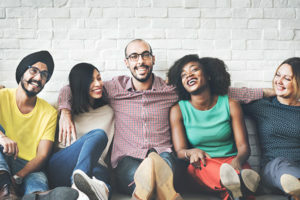 Students of color may experience stigma in seeking mental health treatment due to cultural values conflicts and lack of therapists who look like them. Further, Dr. Breland-Noble emphasizes the importance of gaining more awareness of what mental health is really about. “We need to raise awareness of what mental health looks like. Mental health is a spectrum–it’s not either you’re mentally healthy or you’re not,” she says. Knowing and anticipating the stress and anxiety that may arise is the first important step in learning how to cope. Feelings of distress can indeed be identified, addressed and personally managed—and don’t necessarily signal long-term suffering. As Dr. Annelle Primm, Medical Advisor for the Steve Fund explains, “risk factors are not predictive factors.” There are things students of color can do to help themselves. And there are things colleges and universities can do to bolster their students’ emotional well-being. Keeping track of mental health is the first step in effectively managing well-being. This helps a person understand what their mental health baseline is and when stressors are negatively impacting functioning. It might be helpful to keep track of mental health by incorporating “well-being checks” into one’s daily routine. For example, regularly asking oneself questions like “How am I feeling today?” and “Did I encounter any significant challenges today?” can help students understand when they might need to proactively address their well-being. Students can keep a record of their daily well-being checks by journaling their responses or keeping track in their daily planners. Maintaining a record of these well-being checks can help a student identify compromises in well-being and indicate when extra support is needed. Maintaining a balanced schedule that includes fixed time for sleep, meals, exercise, and leisure activities can help ward off the negative impact of daily stressors. These activities, often taken for granted, are natural coping mechanisms and help people maintain a healthy balance, especially in the college years that are academically and socially demanding. Students can also incorporate mindfulness strategies into their balanced schedule. Mindfulness strategies help people remain in touch with themselves by encouraging living in the moment and taking a judgment-free stance towards themselves and life in general. Mindfulness techniques can be used anytime, anywhere. Visit mindfulnessforteens.com to learn how to develop mindfulness strategies that can benefit your life. Many students coming from different backgrounds, for example, find great strength in identifying positively with their specific ethnic or cultural groups. In fact, such identification has been linked with lower self-stigma for seeking mental health support (Cheng, Kwan, & Sevig, 2013) and lower depressive symptoms (Haslam et al., 2009; Hughes, Kiecolt, Keith, & Demo, 2015; Ida & Christie-Mizell, 2012). Finding peers and groups of peers from similar backgrounds can help lessen overwhelming feelings and provide support. Finding counseling services on campus and seeking professional can also help—and should be explored if mental health challenges reach levels of more serious concern for students. The main message here is connection and maintaining meaningful connections with family, friends, and a counselor if necessary. Finding these sources of support in your life and taking a proactive stance in managing your well-being can help you get through the challenging experience of being a college student.